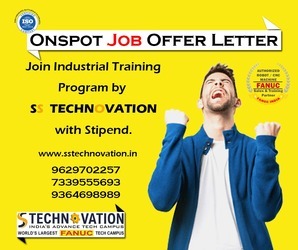 SS Technovation offering Job Guaranteed Industrial Automation Training Program (PLC, SCADA, VFD, HMI, DCS, Panel Designing, Instrumentation, AutoCAD, etc.) for B.Tech. / B.E. / Diploma / ITI candidates who have done their course in #Electronics #Electrical #Instrumentation or #Mechanical #Engineering.